The present experiments investigated changes in β-adrenoceptor binding and noradrenaline stores in mouse cerebral cortex after single treatments with drugs which bind to the GABAA receptor but which attenuate the actions of GABA. Neither the GABA antagonist, securinine, nor the picrotoxin/Cl− channel ligand, picrotoxin, affected noradrenaline levels or β-adrenoceptor binding. However, both the benzodiazepine inverse agonist, DMCM, and pentylenetetrazole increased noradrenaline levels 24 h after injection. Only pentylenetetrazol modified β-adrenoceptor binding: there was a significant increase in receptor number 4 days after injection, but a significant decrease after 7 days. The anxiogenic, proconvulsant drug, yohimbine, was without effect. 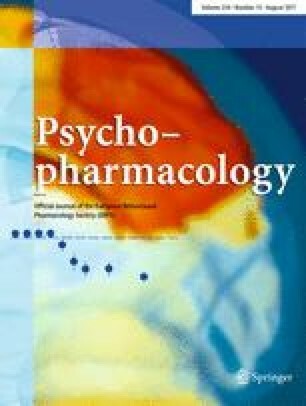 The changes induced by DMCM and pentylenetetrazole do not seem to be related to the behavioural effects of these drugs or to their affinity for binding to benzodiazepine receptors. The possibility that these compounds have actions in addition to those at the GABAA receptor is discussed.